Dear friends today I would like to introduce new mobile call rates 2016 in Sri lanka and the method of "how to activate new mobile call rates" All outgoing local calls to any network will be charged Rs 1.50 and 20 cents for SMS/MMS. 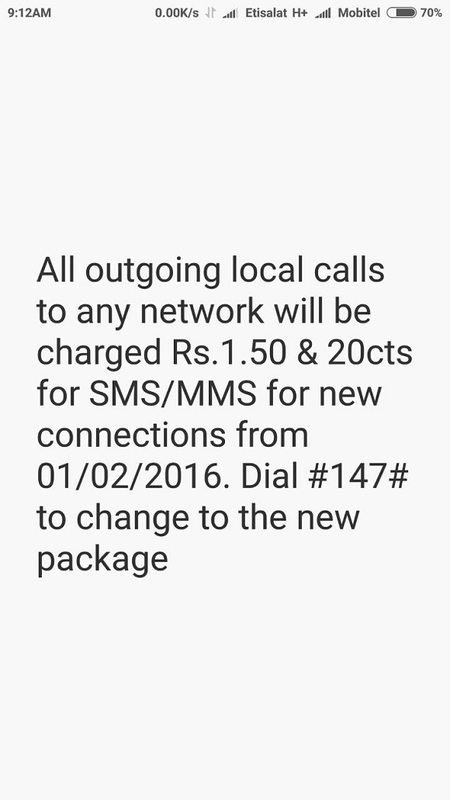 New Mobile Call/SMS/MMS Rates will be charged for new mobile connections from 01/02/2016. You can simply dial #147# to change to the new package. How to activate new mobile call rates ?